Home » Is living on campus worth it? 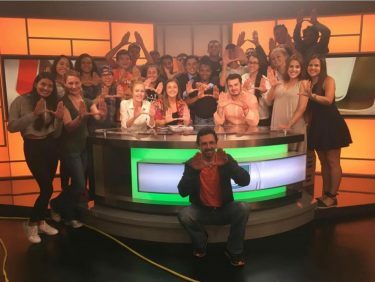 If someone asked us if they should attend the University of Miami, we would wholeheartedly encourage them to join the UM community. From the fleeting festivities of Homecoming weekend to the ever-present beauty of Lake Osceola, there’s a lot of things that make us worth it. But our on-campus housing is not these strengths. As a private institution, students and their parents are shelling out thousands for tuition and the cost of housing is also incredibly high. Currently, the price for a standard double room, shared with a roommate, is $4,060. This is relatively reasonable, as a semester of on-campus housing at a private university is around $10,089. Still, it doesn’t seem fair what some students have to go through. A sophomore living in Pearson Residential College posted a video to Twitter in December of last year detailing a leaking roof in the middle of the lobby. Students have come back from winter break to mold in their room. Even our editorial board has their array of problems with housing ranging from dusty AC vents to mold in their mini-fridges. The number of issues that students face living in on-campus dorms can sometimes be traumatizing. The residential colleges, especially Pearson and Mahoney, have been subject to several health concerns. Constantly students are complaining about mold, malfunctioning AC vents, busted pipes, creaky bed frames, rats and roaches the list goes on. It’s quite disheartening that students are paying so much to attend a school that has neglected the maintenance of some of our most inhabited residential colleges. There is hope in sight— the university is in the process of constructing dorms, including the new Student Housing Village. The village was supposed to be unveiled for the 2019-2020 school year, which would have been beneficial with our rising population numbers. Because of delays with Hurricane Irma, the completion date has been pushed back to the fall of 2020. Also, the Centennial Village, which is set to replace the Hecht and Stanford dorms, will be open in 2025. Though it is nice to know that our future freshmen and other on-campus residents will be living in residential communities that reflect the cost of attendance, it leaves those who are currently here in an unfortunate situation. Students already have to worry about the cost of tuition, books and personal expenses— adding a housing crisis to that list is a recipe for disaster. The University of Miami has to do more now to ameliorate the conditions of living on campus. We pay a lot to attend this school. Where we live should reflect that.